"Any support for the annexation of Crimea stimulates the occupying state to commit further crimes." The Ukrainian Foreign Ministry has expressed disappointment with the remarks on Crimea made by the leader of the populist National Front and French presidential candidate, Marine Le Pen. 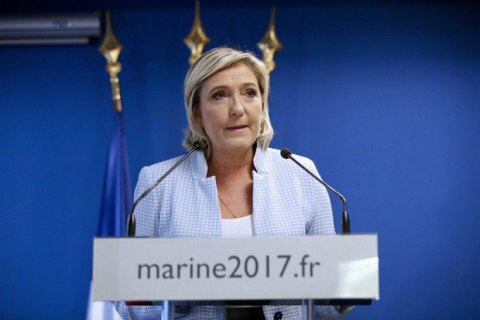 It said in a statement that Le Pen's remarks on the recognition of Crimea as a Russian territory have neither historical truth behind them nor legal power. "Any support for Crimea's occupation and recognition of its annexation mean not only disrespect for Ukraine's territorial integrity and the foundations of international law but stimulate the occupying state to commit further crimes against the local population," it said. The Foreign Ministry called on Le Pen to respect international law and the sovereignty and territorial integrity of foreign states, and "not to serve the interests of a third party carrying out the policy of aggression and occupation".